Show Off Your EPIC Skills! Have you made something cool using the latest and greatest features of UDK? If so, we would love to see it! 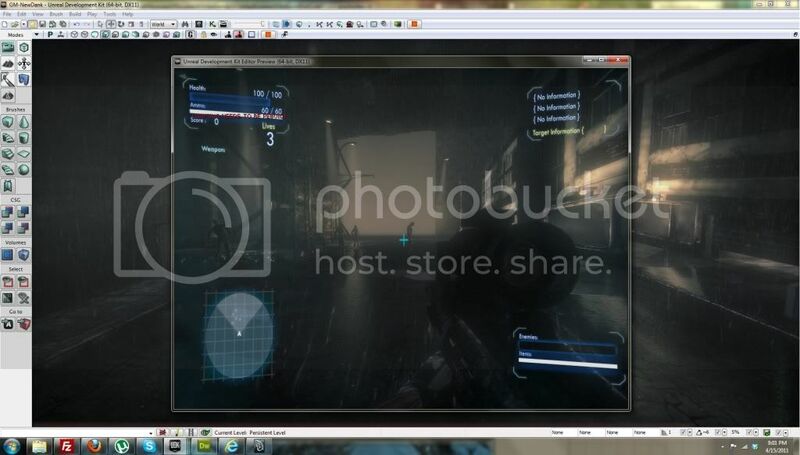 Now we want to see what you are doing with the new features in UDK. Post screenshots, videos, download links, etc. in this thread so we can see what you are doing with DirectX 11, APEX, and more. Show us your work and show off your skills. This is great way to get your work noticed. I'd still like to see when DX11 completely takes off since I am assuming most ppl don't have the cards that support it yet. I just got dx11 and I'm doing a lot of amazing stuff with it who wants to see? This is a very small and fast test I did to check how will displacement will look alike with a normal map too. The main shape is a quick discplacement map and the grains are made using a normal map. I'm preparing now a character for further tests. Using Bokeh, Image based reflection, SubSurface Scattering and Tesselation, for my game "Zombies"
Torment spreads from the East. Recent tragedy brings back memories of old folklore where men without souls raided “deserving” villages. But, those were cautionary tales, those places deserved their plight. Have we, too, committed hubris? There has been attacks across the land from a force that can only be described by it's desolate aftermath. The survivors, if you can call them that, yell out in fragments, but the pieces all add up to one fact: These are not normal men. The place where our story begins were filled with people of strong skepticism. They never thought the blight would reach their city of Talgarth. But, this ignorance only it made it easier for the dark to overcome the light. Talgarth was taken. Luckily, my apprentice lives, but he'll have much to learn if he is to one day become master. On the road but your buddies want you to play Apprentice? No Problem! you can take Apprentice wherever you go! 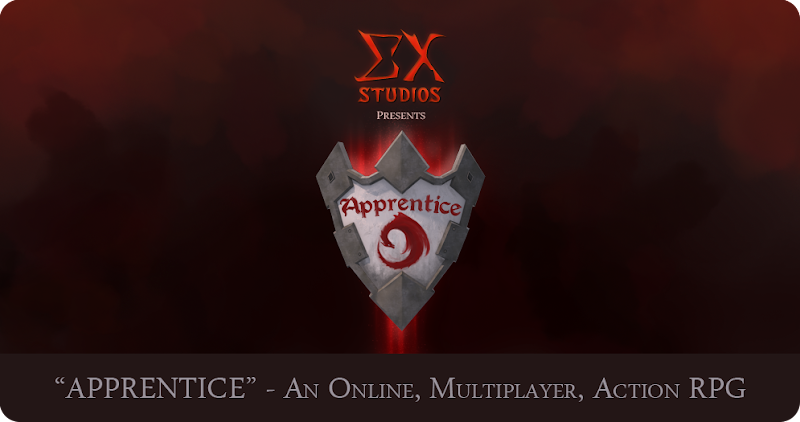 The game will be available on the PC, Ipad, Iphone and Android devices! Online account, with all your information secure on our severs to keep those hackers at bay! Advance Creature and NPC AI. And so much more that you would expect from a Online Action/RPG! This is our ogre, we just need a good animator so we can put him in our game!!! Disclaimer: The following models in the images below are not ours: The Lich king, The Ogre. These are placeholder art for me to use on the programming side until my team of artist put together a replacement. Sorry for any confusion. Real time random map generation. Almost there, but not quite finished yet. I currently generate the maps in small chunks, I haven't checked the edge wall cases yet hence why you can see a "tiled" situation. However, everything within the tile itself is reachable. At the moment only walls are generated, as they aren't passable. In the empty line spaces, I can add doors, door ways etc. Should start to look a lot better as I start adding more theming. Oh wow, people are posting. Keep 'em coming, guys! Phara0h and Solid Snake, are you guys using any of the new features? Shes rendered in dx11 so it is naturally looking 11x better We 110% will be using everything we can get from this new build when we start to add the polish to the game! Hey Jeff I'll do some amazing things with dynamic tessellation if you send me a couple GTX 580's. I'll wait by the mailbox. @ TheAgent - looks flipping terrific... awesome work! Pretty impressive work there Agent. You are making it look way to easy to make that look way to good.